Did Gibson always looks so fluffy? 1) Blowin' in the Wind. They blow their undercoats out twice a year. And if you've ever seen the snow furries from a shedding Husky, you know just how major of an event this is - there's so much fur that you can make a life-size fur model from the shedding hair! The good news is that when they are not shedding, they really don't shed! I have a blue cordouroy couch to prove it! (However, with five Huskies, one is always at a point of shedding, meaning some Husky is shedding at some point year round here!) And the warmer the temperature, the more they shed. Best tip: get a really good self-cleaning slicker brush and an underrake comb! 2) Do Not Shave A Husky! I repeat, Do Not Shave A Husky! Now, you might be tempted, especially if you have a wooly Siberian or if it's hot where you live, but don't do it! Exception: for medical purposes only. Brushing and grooming is essential, but put away those clippers. Shaving a Husky can not only ruin the coat, but can cause serious health issues such as sunburn, parasite infestation, and overheating. Their coats are actually a protectant. Best tip: groom your Husky often to keep the coat in healthy condition. A healthy coat will keep a Husky cool in the summer, warm in the winter. 3) It's Raining. It's Pouring. A Siberian Husky's top coat is dubbed "waterproof" as it can literally deflect water off the fur. You can take your hand and squigee the water right off their coat! However, this does not mean a Husky should be left outside in the elements without shelter. 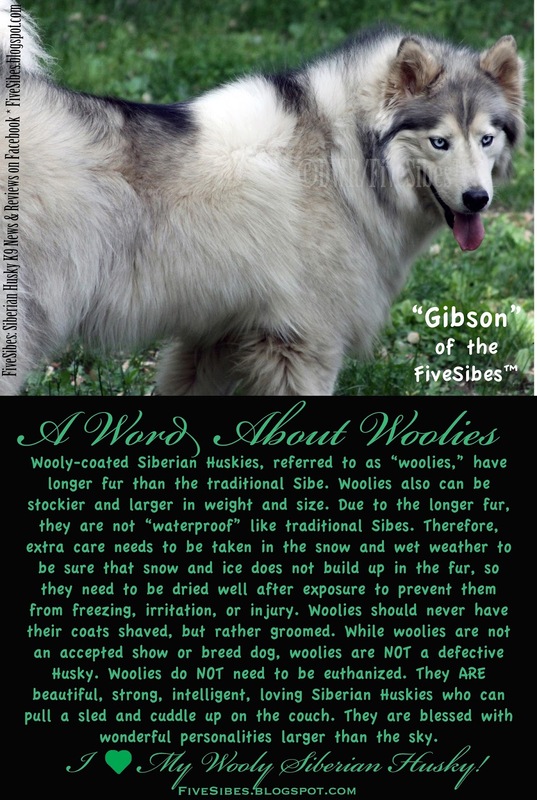 Note about woolies: with a wooly, their longer non-typical coat can become heavy and soaked, and can freeze thereby posing a threat in the colder weather. Best tip: use a good absorbent towel and dry off a wooly's coat when wet. 4) Look Ma - No Smell! A Husky's coat is basically odor free! Now, how (p)awesome is that?! 5) Fur, Fur Everywhere! What's a Husky parent to do? Wondering what to do with all that shedding fur? 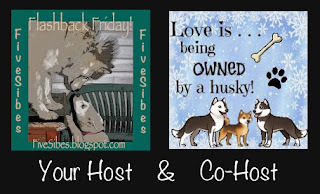 There are organizations (such as the Save Our Siberians Siberspace Rescue Fund at www.SOS-SRF.org) who will gladly accept Husky fur sheds to weave into some wonderful items, or you can spin and create your own, to sell and raise funds to help homeless Huskies. 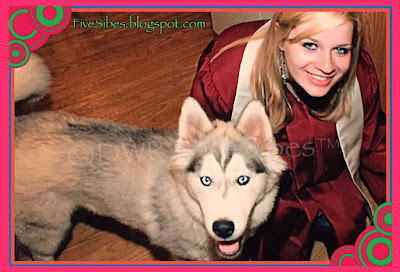 For more info on how to save, clean, spin, and/or donate Husky fur, visit SOS-SRF info page HERE. Flashback Fridays are brought to you by us - the FiveSibes - and our co-host, Love is being owned by a Husky, each Friday. We hope you'll find a photo or video from Memory Lane, post it, and link up to our blog hop each week! If you don't catch it on Friday, you can link up any time during the week! To catch our past Flashbacks, just enter "Flashback Friday" in the search box. We hope you'll come join us! We know those Huskies shed a lot...a friend had one and WOW! It used to snow fur in their house! BOL I had no idea people used the fur to weave stuff. That is too cool. That was good info and I have heard of ding-dongs shaving their huskies! Thanks, Brian! 😊 Yes, those D-Ds make us so crazy! Ahoy, Mateys, It's Woo Like a Pirate Weekend! A Sibe Study Date on a Wordless Wednesday!